The first two days of school (I taught high school math) can set the tone for the rest of the year. How you start off your year can make such a difference! When I was a younger teacher, the first few days of school were full of rules and class procedure and syllabus and lets get to learning. Much more recently I started using the first few days to start building my classroom culture. There was not much discussion about rules and classroom procedures were talked about as they came up. Here are how my first two days look now. As the students come in, I have super loud, peppy music playing in my room. I have set up a 5.1 surround sound speaker system and have it plugged into my computer. My room has desks grouped in pods of four and when the students walk in, they get a number that matches a number on a desk. After the bell rings, the music is turned down (so my neighbors don’t get mad) and I introduce myself and give a quick sum up of how I got to where I am. I then go over the rules for the Marshmallow Challenge – this is our day one activity. I video what the students do, take some pictures, put together an iMovie and share each class period’s efforts with the world. After the challenge is over, we have a quick discussion about what worked and what didn’t and why. End of day 1. 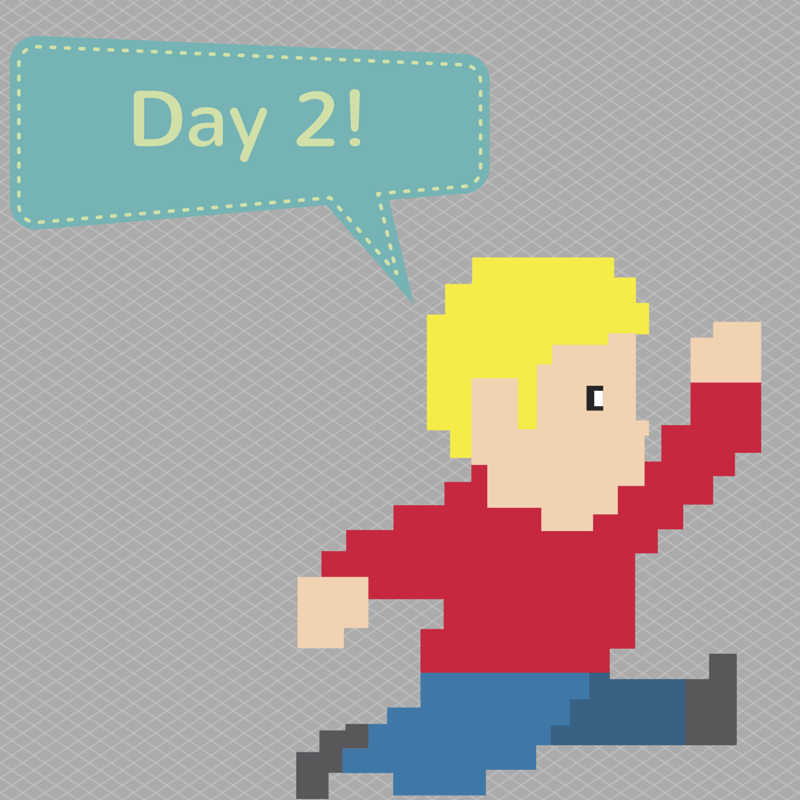 Day 2 is not much different than day 1! I have loud music playing, greet the students at the door, but this time I assign them to a different group. The challenge for today will be this: create an iMovie trailer that gives us information about each person in your group. Each group has one iPad with iMovie on it, we have a fast discussion about what is needed in each trailer: everyone needs to be visible, we need to learn at least one thing about each person, and you cannot leave campus for any reason! I do not tell students how iMovie works, I do not limit where they film (just stay on campus) and I do not give them a time limit on being in the video (each person needs to be seen at least once). Students only have one class period to complete this task – it is really hard to do! These were so successful that a couple of years ago, my partner in crime Kristina and I, started using team building activities the day after each test. The team building created a culture where students worked so much better together. We covered a lot of material (more than we thought) and it was fun to see what the students could do. Twitter Scavenger Hunt: give the students a list of important places in the school or cool school pride items or _____________. Get the students out of the room and let them explore their school. They find the item and take a group picture with it, then tweet the pic with your class hashtag. Paper Airplane Toss: give students two sheets of letter sized paper, two staples, a paperclip, and two small pieces of tape. Students have 25 minutes to create a paper airplane and test it, the only rule is that they have to use all of the materials. For the contest, each team gets two tosses only. QR code scavenger hunt using questions from your course. I taught math, so I created math problems in Google Docs and students scanned the code to get the question. I made it multiple choice, so they scanned the answers and this led them to the next question (if correct) or the principals office (if incorrect). Think about what you could do in your class! Have a great team building activity? Share it with us in the comments! One Response to "The First Two Days"
I too, stopped doing the “rules thing” on the first few days years ago. When I was at Southmoore, I knew a lot of my students because I had them for multiple years. I even met with them before school started. This made it easy to jump right in. I like to do team building things, too, and just some fun stuff. I feel like they get so much indoctrination the first few weeks. I wait to pass out my handbooks until after all that has died down. I like the Twitter scavenger hunt idea. Since I’m in a new school, I think I might send them out to tweet pictures to me of places/stuff I should know about the school. Thanks for the ideas, friend!